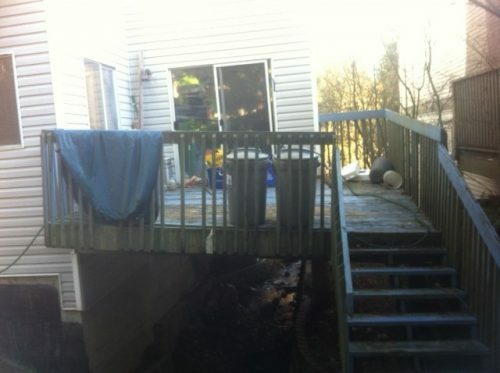 This deck was precariously holding on for dear life. 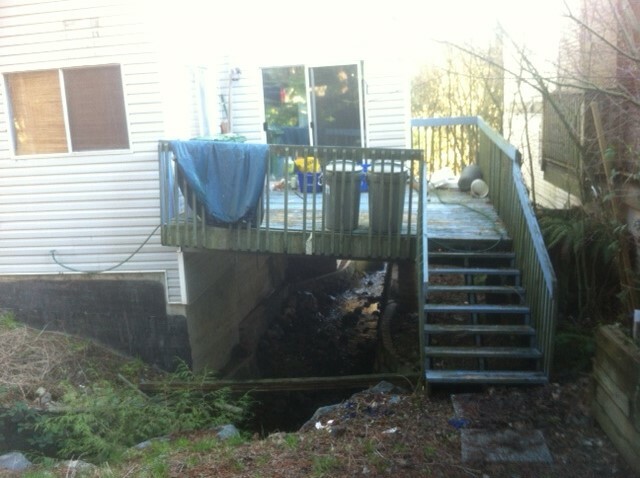 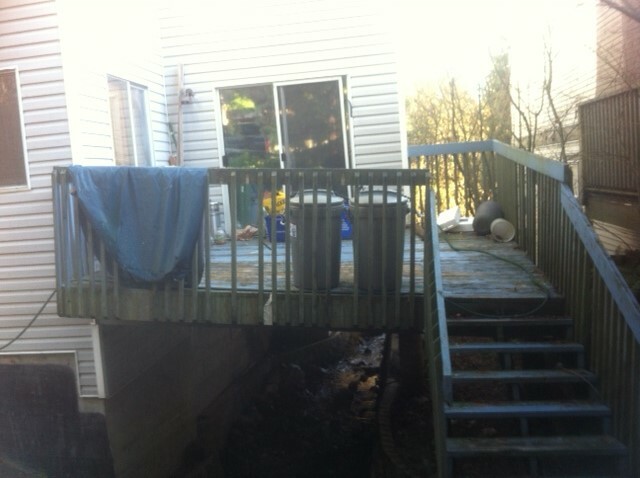 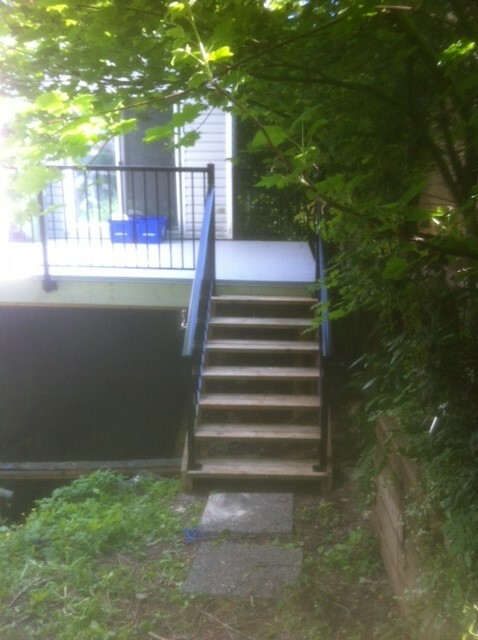 We demolished the whole deck including the stairs and rotten wood picket railings. 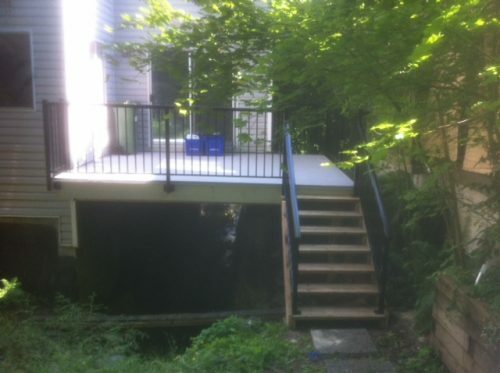 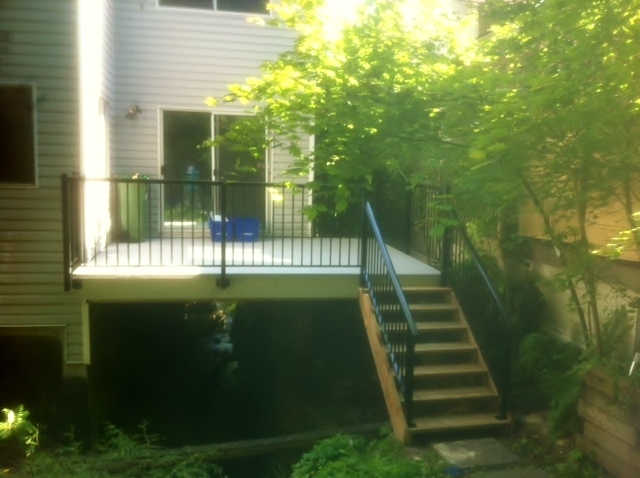 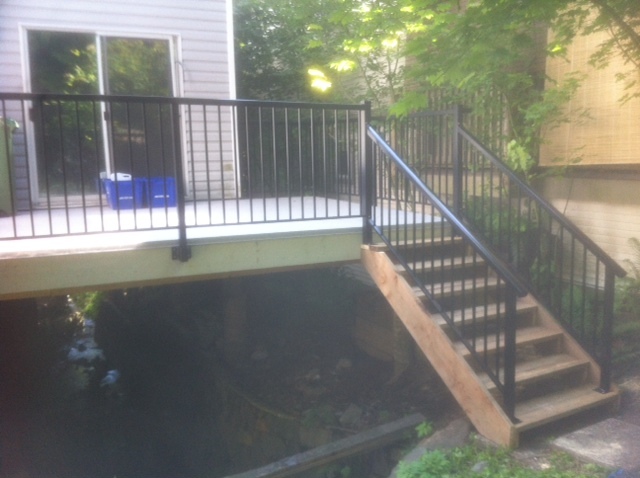 We built a new deck, waterproofed it with vinyl membrane and installed aluminum picket railings.